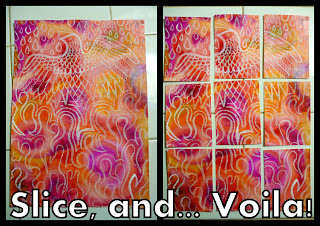 Oops, I Craft My Pants: 9 Card Phoenix ATC Spread! Oh my god, those are so amazing. I can't believe it, you are already fabulous and you get more and more fabulous by the second. Why didn't I join this swap and then demand that you were my partner? Stupid break from making atcs...lolz I love that you made the big pheonix and then decorated the cards its so amazing! You rock!! Those cards are just so lovely! Your work and your style, and your blog are great!!! May I recommend you submitting some ATCs and inchies to Scrapbook News and Review Magazine? Love the title of your blog too! hahaha!